The Clean member Hamish Kilgour’s second-ever solo album, Finklestein, flips the singer/guitarist/drummer’s path taken on All Of It And Nothing. Having previously gone for intimate, minimalistic performances, Finklestein displays a chock-full production quality akin to a fairytale. It’s a fitting change, seeing as the songs are based around a children’s story Kilgour conceived for his son about a kingdom that invents a way of dealing with their depleting gold resources. The songs include organ, saxophone, pedal steel, piano, vibraphone, harmonica, even footsteps (Hamish is renowned for his stepping), most of it performed by Kilgour and his producer/collaborator Gary Olsen at Olsen’s studio, Marlborough Farms in Brooklyn. Originally conceived as being a children’s book as well as album, Finklestein rides roughshod through this fairytale world with grace. Finklestein took a year to record, as Hamish’s involvement with a large part of the Brooklyn music scene, as well as dates with recent New Zealand Music Hall of Fame inductees The Clean, split his time. His songs benefit from this elongated recording period, as each track creates its own space within the Finklestein world, mixing instruments and melodies in a rainbow of ways. Yet it’s Kilgour’s songwriting sensibilities that hold the album together, his charismatic and loose arrangements within a congenial environment of musical play. 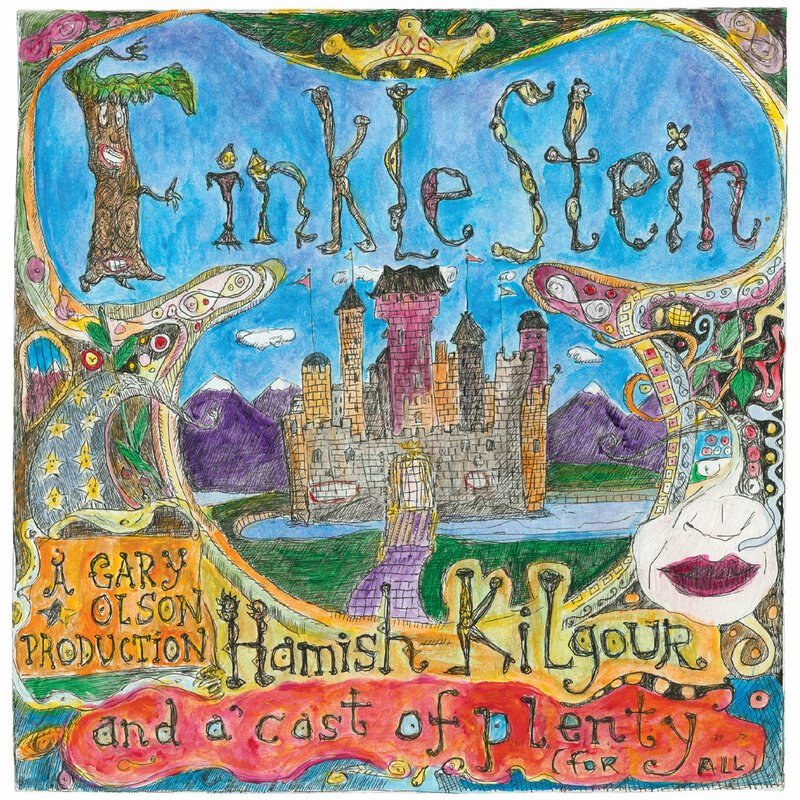 For those early birds who love their Hamish, there’s a Finklestein Special Edition, which includes Funklestein, an entire second LP of music created to complement it’s cohort release. This bonus LP, limited to 50 copiesand vinyl only, provides two psychedelirious side long tracks (Side A: “Reaction” & Side B: “Action”) using the same musicians and studio as Finklestein proper.